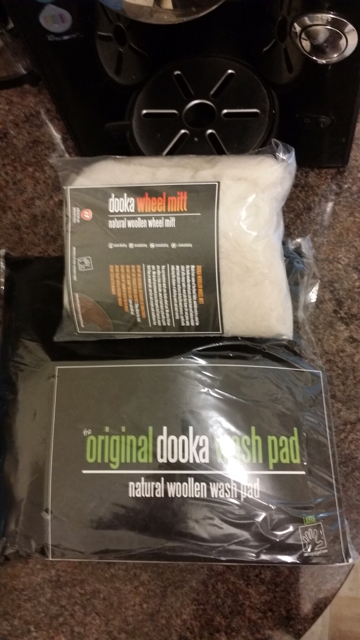 Dan,where did you purchase these 2 as I’m after a new wash pad. Any of the Microfiber Madness wash mediums are very good. I have the Incredi Pad XL, Incredi Pad, Incredi Mitt (1x blue and 1x grey and used as a pad with the cuff tucked inside) and Incrediflair wheel mitt. The quality is superior as are all M.M. products. All of the above have had a lot of use and are still like new and they all work very well. They may be a little more expensive than some but well worth the money in my opinion. I purchased the above listed products from Polished Bliss and Detailing Shed. I'm not a fan of lambs wool type mitts/pads as although they pick up dirt and grit well I find they hold onto it and it is difficult sometimes to release the dirt from the long fibers even with a rinse bucket with a Grit Guard and Grit Guard Washboard setup. Also the upkeep of a lambswool mitt is higher than a M.F. one and if not looked after it just won't last. Being able to stick the M.F. wash mediums in the washing machine is a big plus. I have the Microfibre Madness incredisponge, pad and mitt. My favourite is the incredisponge just due to the amount of water you get on the paint. Never had to replace any and they are washed after each use in a washing machine. Much easier than caring for a lambswools mitt. The incredimitt must be about 4 years old now and its still like new. Sounds like I need to get one of these MFM Incredisponges. I too have had a run of bad luck with lambswool products and believe that microfibre is the way to go. I'll get one ordered. I ordered one from Amazon yesterday & it arrived today £12.25 free postage with ap,,I’ll probably try it out tomorrow if the weather is cooler. I'd avoid cheap lambswool one, I got mine and it was useless after 4 weeks. I like the Kent Noodle mitts, cheap and good quality. Mine just arrived from Gtechniq online, also looking forward to trying it for the first time, last mitt I had (still have) is the meguiars lambswool, which was top notch so be interesting to see how they compare.